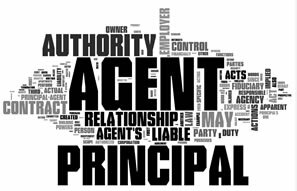 Understand the formation of principal-agent relationships. Detailed explanations of the elements of agency law. Learn how employers are liable for actions of employees. A song that touches on the subject of employer liability. Understand the difference between these labels and when each can be applied to a worker. Regardless of how businesses label their workers, the IRS sets the criteria for when each label may be used. Learn how a business can be found negligent for not conducting a background check.